The couple wanted a bedroom in which they could relax and watch a movie on their own. Their nine-year-old son needed a bedroom where he could feel grown up and independent. 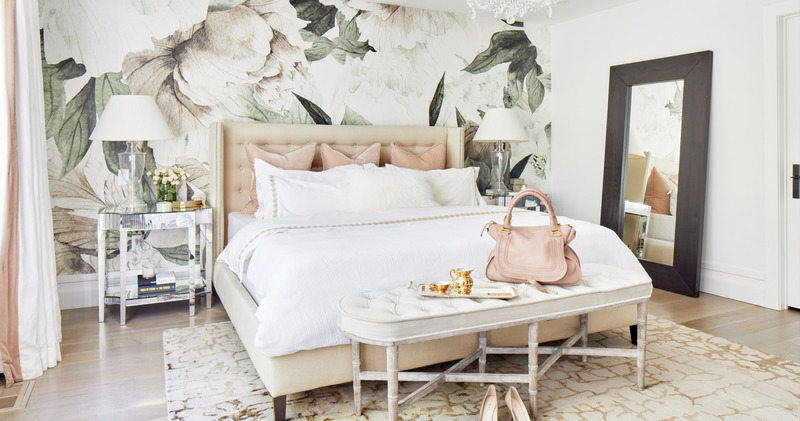 Toronto interior designer Dvira Ovadia managed to meet both sets of the family’s needs by creating unique bedroom decors around powerful statement walls. 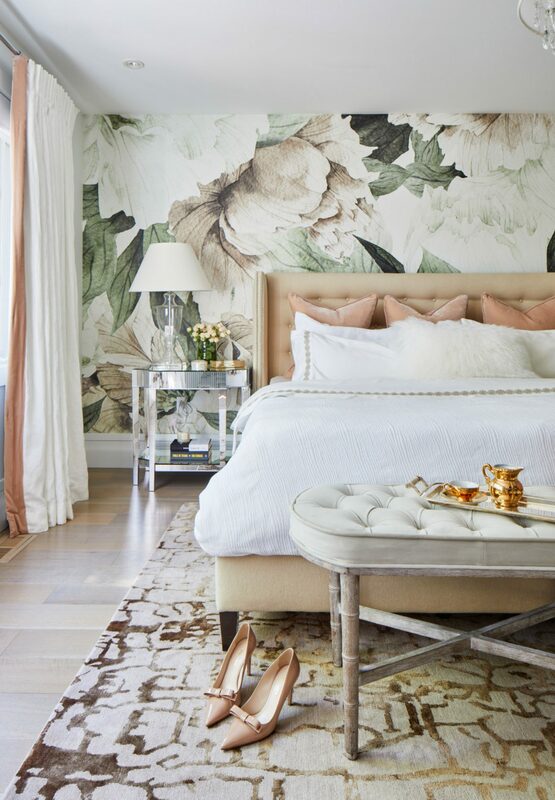 Installing a wall-to-wall floral mural in the parents’ master bedroom helped transform it into a luxurious retreat with a romantic, bohemian ambience. 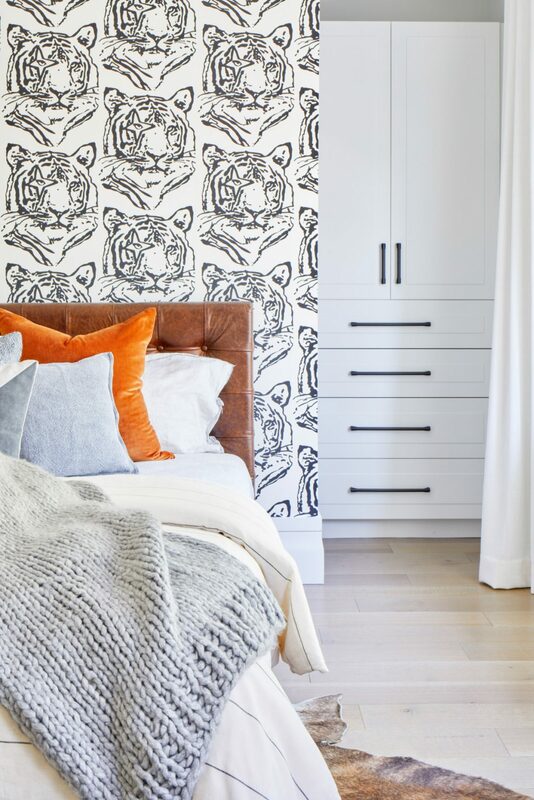 Covering one wall in the boy’s bedroom in bold, black and white animal-print wallpaper rendered it a cool, edgy space, perfect for a young boy on the cusp of adolescence. 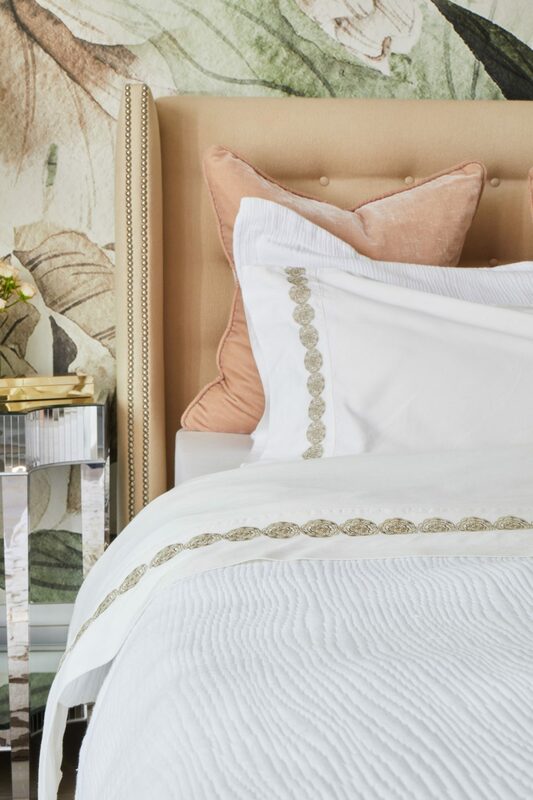 “A statement wall can make a big difference, especially in a bedroom,” says Ovadia, owner of the eponymously named design firm Dvira Interiors. 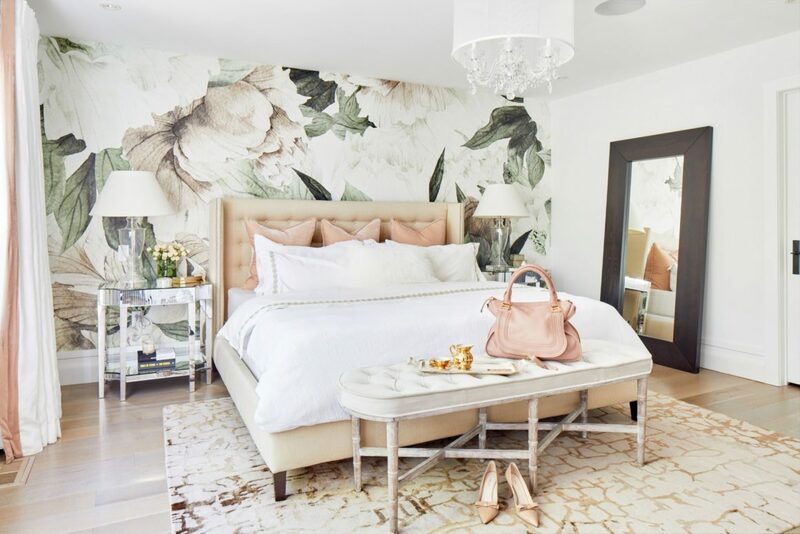 “Bedrooms are a place to create something unique and have a little fun.” And compared to bathrooms, she adds, they are relatively inexpensive to decorate. 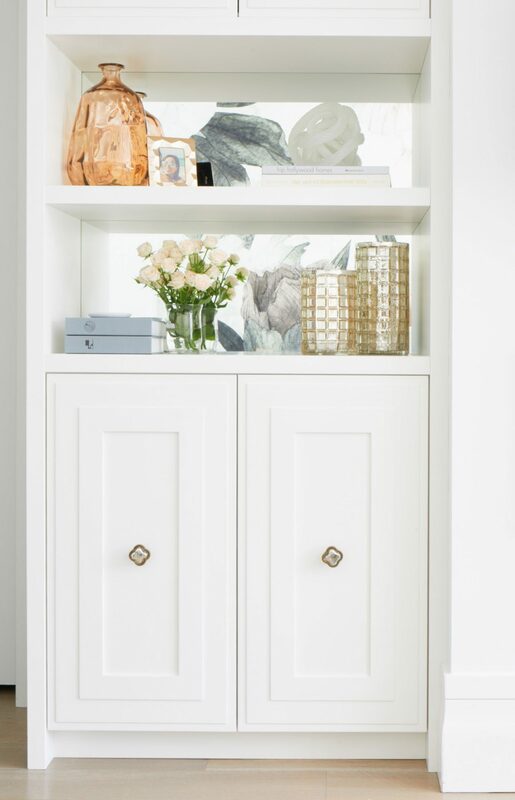 The cabinet holds a linear fireplace and flat-screen television to help make that possible. When it came to their son’s bedroom, Ovadia says, she took a similar approach. The room was also a blank slate. 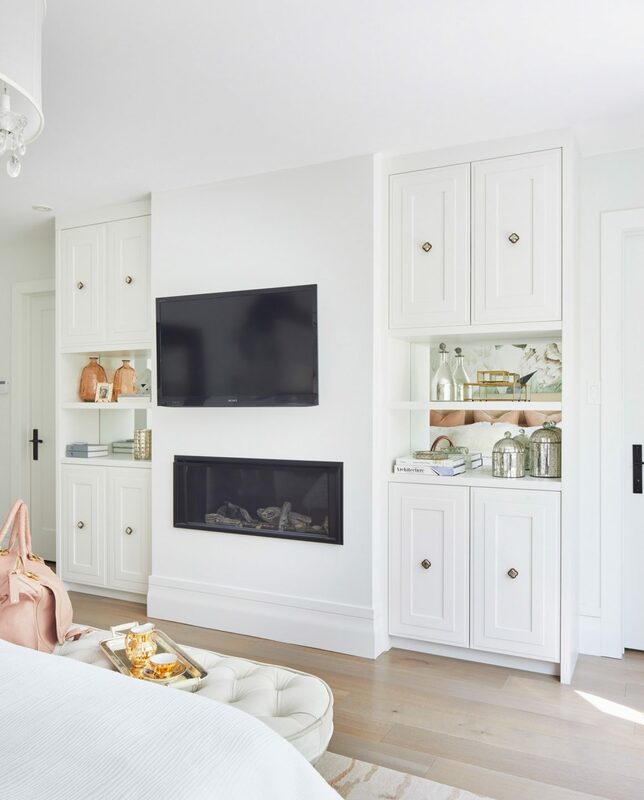 As in the master bedroom, the walls here were painted in Benjamin Moore’s Paper White, the oak floors were white-washed, and the built-in cabinets were finished in a matte white. Once again, Ovadia says, it came down to finding a unique wall covering to make the room’s focal point. 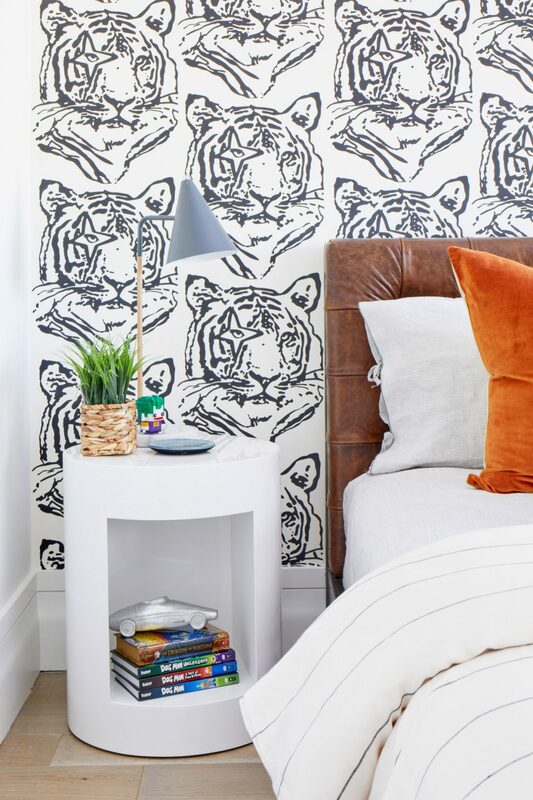 “We were looking for something the child could grow into, a room with a bit of a lifespan.” For this room, she says, a hand-painted Aimee Wilder designer paper featuring black and white tigers was a perfect choice. It gave the space an edgy feel. 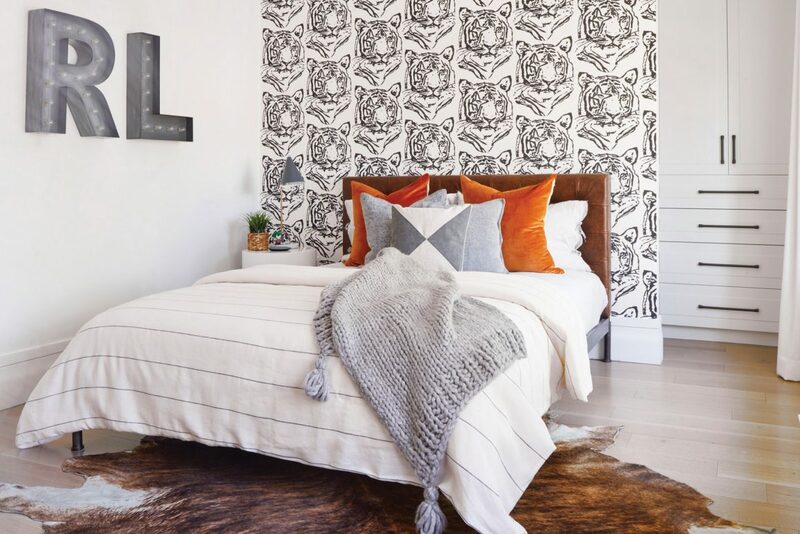 And, she adds, by adding a cowhide rug and distressed leather headboard, the room became even cooler and more grown up. A charcoal-grey metal trunk from Restoration Hardware and a suspended metal shelf finished the room with a dash of industrial chic.